I’m preparing for an upcoming trip to Ecuador in December. I tend to overthink, and am learning there are some serious snakes and spiders in the jungle there, including the Fer-de-lance and black widow. But if we can’t entertain ourselves during the journey, never mind others, what’s the point? Muy bien. Y tú ? Okay. Thanks for asking . Are you on a holiday. ? Yes. A friend invited me to accompany her. Gracias. You are a courteous snake . De nada . We try to make guests feel welcome in the jungle . Did you get all your vaccines? I could administer any you’re missing with my built-needles. Thanks. I’m good. Some people are afraid of snakes. Some people are afraid of their own shadow. Yes, there seem so many things to be afraid of these days. My friend says she hates snakes. Strong words. But that’s nothing to me. I just exist here, doing snake-like things. Only a little, if someone steps on my head. But you are very venomous. Lo siento. It is my nature. I use my venom to catch and eat small rodents like agouti — preferably accompanied by a glass of Syrah. Not fava beans and a nice chianti ? No! What do you think I am? I generally don’t much like people either . I hope you’ll make an exception for me. My friend said some folks here call her a witch . Then she should be okay. She can cast a spell to keep me away. Is she a good witch or a bad witch? She says she can be very bad: muy malo. Make sure she does not cast a spell on you and turn you into an agouti . Too late. The spell is cast. Here I am thousands of miles away in the jungle bringing medical care to local people. At least it’s for a good cause. Did your friend bewitch you to lure you into her lair ? Like a spider. No, I think she likes me. I call her querida bruja* for fun . She is like a lady witch doctor , perhaps. Kind of . Though she is a very interesting witch — she leads eco tours and runs a farm. She goes rafting . Sounds like she has a real pair of ovaries. Does she intimidate you? Not too much. And who wants boring? And If she turned me into an agouti, we couldn’t have interesting conversations. You have some some serious spiders here by the way, including black widows, tarántulas and very unhygienic spitting spiders. But no. I came because I wanted to. You are from the States ? The keystone state . Two main cities: Philadelphia , city of brotherly love , and Pittsburgh , city of three rivers . You are an educated snake. Gracias. I have my degree in herpetology. 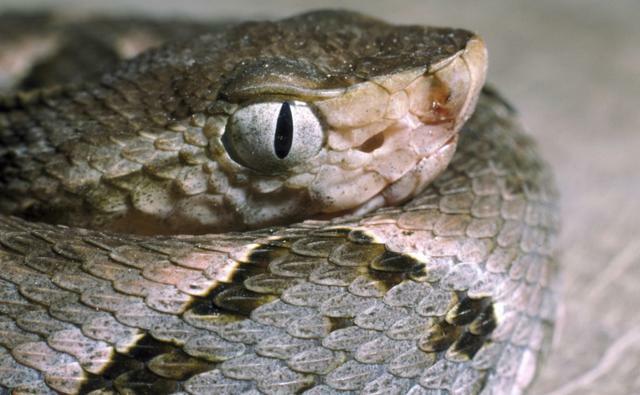 I know other snakes where I come from, like timber rattlesnakes. I come across them when I hike. I know a nice family of timber rattlesnakes el Norte, in the central part of Pennsylvania. We stay in touch by Facebook and WhatsApp. Being a snake, you have no opposable thumbs. How do you dial your phone? Google voice activation works well enough . So when are you leaving Ecuador? What a pity . Back to all that cold . Away from your friend . That’s the way the world works now: everyone is connected but apart. Yes. Strange. If I may be personal, you seem not always positive. It’s my nature sometimes. And it’s based on experience. But you entertain me. Will you visit again? I’m here to show up and enjoy the journey now. I’m not thinking about the future . Sure. Maybe. If you visit again please look me up. I’ll keep the light on for you. Will you put a mint on my pillow? Just watch where you step and lay your head. You never know what you might encounter in in the jungle. See you later. Not if I see you first. Ha ha.